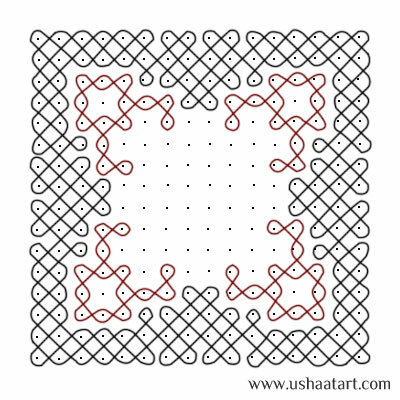 16 dots (Ner Pulli) Kolam. 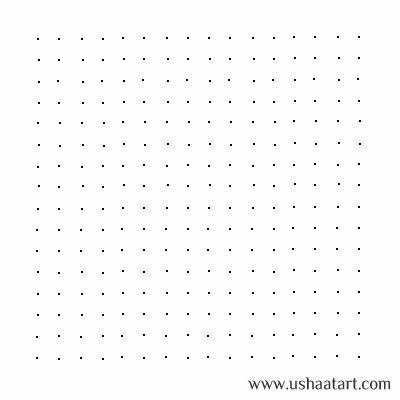 Put 16 dots 16 times. 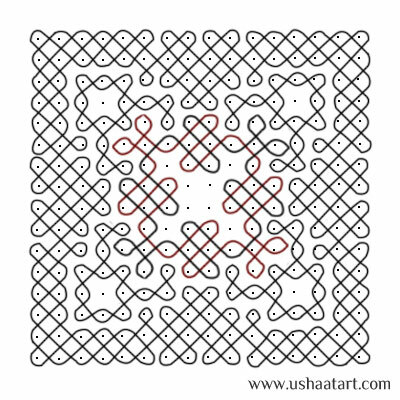 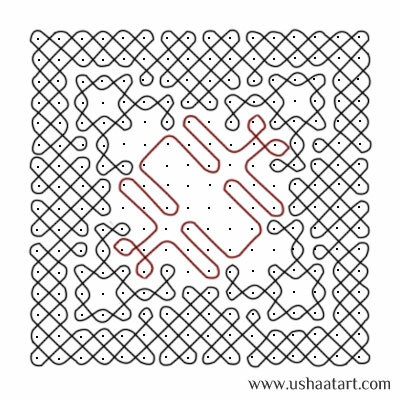 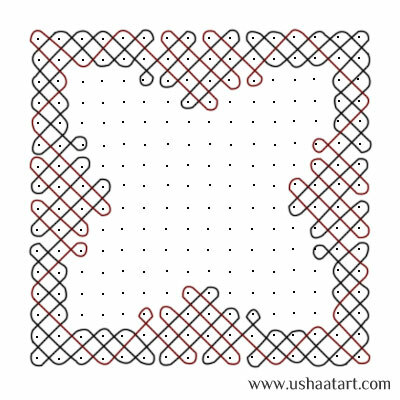 Draw border kolam as shown below. Draw kolam as shown at four corners. 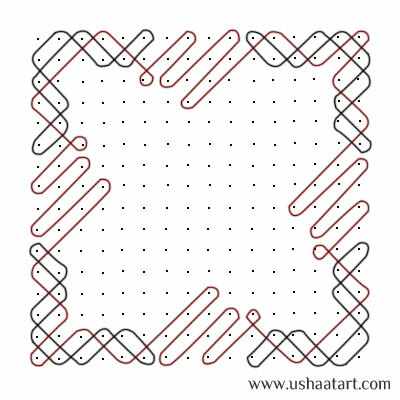 Draw below pattern and repeat the same from right to left. 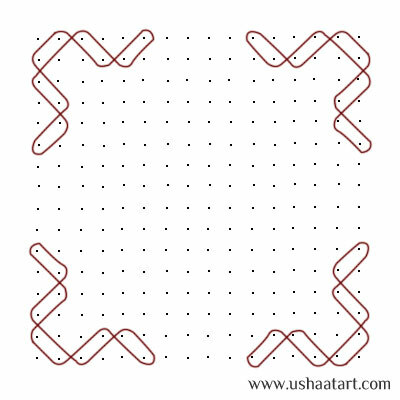 Draw circles and erase extra dots.